Tax Day is rapidly approaching. It’s true that you still have until April 18 this year, but you might be surprised at how fast time flies. Especially when you don’t want it to. One of the reasons you might not want time to fly is that you know you owe money on your taxes. This knowledge can be especially distressing if you know that you will have a hard time making your payments. In this economy, the fact that you have to pay taxes on unemployment income might be a bit of a problem. Additionally, you might not have withheld enough from your paycheck for taxes. Whatever the reason, you might find that you owe the IRS a tax bill that you can’t afford. So, whay can you do? The IRS does have a solution for you. It is possible to apply for an installment agreement so that you are not overly burdened by paying taxes. The IRS generally allows you to pay in installments if you owe less than $25,000, and don’t have a lot of tax issues from your past. You can send in a Form 9465, or you can apply for an installment loan online. This is an easy way to get things set up. You can let the IRS know how much you can afford to pay each month (the IRS has a helpful payment estimator that you can use to help you figure it out), and the IRS can decide whether or not to accept your agreement. You should realize, though, that this is a loan. The IRS considers that you are borrowing the money when you sign up for an installment agreement. As a result, you will need to pay interest. However, the interest rate on an IRS installment loan is usually much lower than what you would get from a credit card issuer. You will also have to pay a fee. Before you put your taxes owed on the credit card, it is worth running a comparison to see if you are better off borrowing from the IRS. You can choose whether to make a monthly payment on your own, or whether you want a direct debit from your bank account. It is also possible to choose to have your installment amount taken out of your paycheck. These automatic options can make it easier and ensure that your payments are made. What If You Owe More Than $25,000? If what you owe to the IRS is more than $25,000, you can still apply for an installment agreement, but you won’t be able to fill out the online form. Instead, you will have to take care of things in writing. 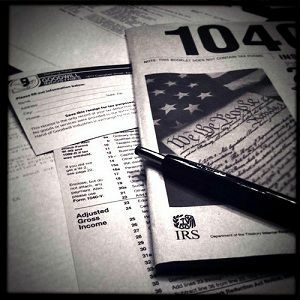 You will need to send a Form 433F along with your Form 9465. It can help to call the number listed on your tax bill if you want to speak with someone who can help you work things out. It’s good to know that you do have an option when you owe money in taxes, but can’t pay. Alternatively, you can borrow money from credit unions, lending exchanges, or peer-to-peer lenders if you unable to make IRS payment plan works for you. I will tell you, destitute me, receiving nobody else’s tax dollars AKA hard and I do mean HARD earned money, does more within my arms reach than whatever our unseen tax dollars are going to. In my off time, including weekends, I hold not for profit meetings for seniors. I offer them free prescription discount cards, I take their drug lists home with me and spend hours trying to find them $4.00 co-pay cards, I help them with their low income applications and any other way I can think of. Do I technically have the gas money for this? Nope. Do I technically have the ink money or paper money for this? Nope. Now….. lets see… IF our tax dollars went to causes such as these, our seniors, our uninsured, our homeless and starving, or even if our taxes went to enacting laws that charge major corporations huge tariffs for sending all our destitute, struggling, looking anywhere and everywhere for a job countrymen and women’s jobs to OTHER countries, well then, taxes might make a bit more sense. Hmmmm who’s pockets are receiving our tax dollars? Not mine, not yours……… Hey, under the bridge over there… is that another one? Yep! Sure is! Another homeless family, couldn’t sell, the market stinks. Lost their long time jobs to outsourcing, oh look, I bet those sweet little ones are cold, hungry, scared. How sick in their guts those parents must feel. Listen up all you willing to work hard parents… You Are NOT The Failure! I have Seniors who do not take their meds because they cannot afford them. I know if I had to fork out 700.00 a month for ONE of my scripts, life threatening or not. I couldn’t do it. Can You?? Or all of you in Washington? Which of us can and which of us will leave this world soon because we can’t? Personally, I would rather use my 15,000 owed IRS dollars that I can’t afford to pay towards important causes. Survival causes. Truly helping people causes. If we don’t work together, govt & our people towards that so called better tomorrow…. What is the purpose???? ?